We are extremely fortunate to be able to offer this very limited release of Michael Ooi's F4 Malaysian strain of this fragrant species. Michael has been working with this Pride of Malaysia species, hand selecting, sibbing and selfing the best of the best, for the last 30 years. 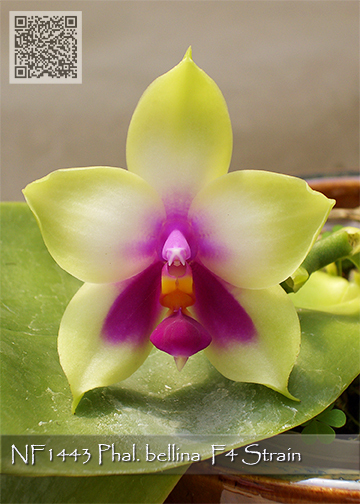 He believes this is his best Phal. bellina strain ever and should set a new standard for this popular species. We have noticed this F4 strain has very thick, round, compact leaves, a sure sign of 4N and good flower form. Limited.